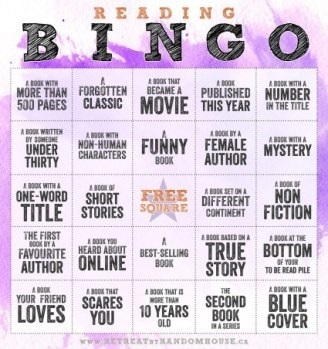 I came across this Reading Bingo game at Orange Pekoe reviews and I thought it would be fun to try it too. Links are to my reviews. BTW I had to use my Goodreads See What You Read Page to do this! A book written by someone under thirty – Hmm. This might be a fail. I haven’t read so many debut authors this year, and – a-hem – I’m not sure of the age of some of the younger writers that I have read. I’ll go with Anchor Point by Alice Robinson, but stand ready to be corrected. A funny book – I haven’t finished it yet, but I’m finding the satire in Patrick Evans’ The Back of His Head very droll indeed. A book you heard about online – Wittgenstein Jnr by Lars Iver. Thank you to Tony of Tony’s Book World. A book based on a true story – Caleb’s Crossing by Geraldine Brooks. A book your friend loves – Solly’s Girl by Ros Collins, see Karenlee’s enthusiastic review here too. A book that is more than 10 years old – Easy. The last four of the novels from the Rougon-Macquart cycle by Zola are the ones I read this year. The second book in a series – Epic fail. The best I can come up with is Flood of Fire by Amitav Ghosh, which is No 3 in the trilogy. FREE SQUARE – I’ll do the same as Orange Pekoe: my most popular review of a book I read this year has been The Strays by Emily Bitto. Over to you, dear readers, which one of these is easy to fulfil, and which one would you struggle with? You’ve done well! Being in a book club and doing a readathon would get me up close to 80-90% I think. It would be easy to fill the one word title, I read several, including Americanah by Chimamanda Ngozie Adichie, but I’m pretty sure I didn’t read anything with a number in the title and I don’t recall reading anything that scared me. I really must get round to reading Americanah, I bought it almost as soon as it came out, but then I got distracted by other things. I had it on my tbr shelf for quite a while too. It’s worth reading, tho I preferred her other books. LOL If you had a Bingo card with all Penguin titles you’d win it hands down! What a brilliant selection you’ve chosen! I hope you had as much fun compiling your choices as I did! Thanks, Cleopatra, I did enjoy this. I’ve given up doing challenges, but something like this is just good fun, and great for this time of the year. Your list is fantastic! Thanks for joining in and I’m glad you enjoyed doing it. I agree with the difficulty of some squares – you need to think laterally! I hope to read Anchor Point this coming year. I’m actually putting together a couple of small bingo cards for the 2016 AWW Challenge so keep your eyes peeled! Making another one? That’s great, I wish I were clever enough with graphics to do one myself. Can you add a box to include indigenous writers please? LOL Orange Pekoe, that reminds me of how I published my most successful books. I made crossword puzzles and word-searches of Indonesian vocabulary and turned them into books to support the fledgling teaching of Indonesian in primary schools. This was back in 1992, and I thought I was sooo technologically advanced because I used a *bells-and-whistles* computer program (on a floppy disk!) to create the puzzles and then I printed them out and cut them verrrry carefully with my dressmaking shears and glued them onto the clues pages which I’d made using MS Word. And then I took all the loose pages down to my local printer and he turned them into books. How things have changed! That’s hilarious! No big blots of white out I hope! Oh, there were. And much gnashing of teeth and tearing of hair as well as paper! I’m surprised how many squares I could complete but like you drew a bit of a blank on the authors under 30. I don’t pay much attention to age when I choose what to read so I don’t really have a clue how old the author is. I also drew a blank on the second novel in a series. Now if only I had got around to reading Zola’s The Kill I would have been ticking another box but it ain’t going to happen …. I suspect that there would be many readers who’d find the series one really easy, but once I’d recovered from the Blyton effect, I reckon I could count the number of series I’ve read at under a dozen. What springs to mind is Tolkien’s Lord of the Rings; Susan Howatch’s Starbridge series (about the Anglican clerics); Zola of course, and Balzac if you count La Comedie Humaine. I loved Henry Handel Richardson’s trilogy The Fortunes of Richard Mahoney; and more recently Amitav Ghosh’s Ibis trilogy too; and a long time ago I read Mary Stewart’s Arthurian Saga – I must have read some others – but that’s all I can remember. PS I just checked at Goodreads, apparently there are more in the Arthurian Saga than the three I’ve read, so it turns out that I didn’t complete that one. A great list. I did read some of my grandsons books that are in a series just to see what they were on about. I don’t know if that counts. A book over ten years old was Homer and Langley by E L Doctorow, which I would say was one of my best reads for the year. I loved that book! I’d never read anything by Doctorow, and my friend Lurline recommended him just a week before I saw a review of H&L and so I bought it. It’s one of those books that stays with you forever. It raises such a lot of interesting issues doesn’t it? Now that you mention children’s books… I seem to remember reading Book 2 that came after A Wrinkle in Time. I shelve those separately so it didn’t show up in my 2015 list at Goodreads. I was disappointed in it. A Wrinkle in Time was one of my best-ever childhood books, and the sequel was just not in the same galaxy.